I write Christian focused books because that’s me. Christ is a part of everything I do and I don’t think I could separate Him or God from my writing. Ha! I can’t pick one day. Getting married, having my boys, adopting my son? All great! There’s more pressure to write more books. 1 of the 300 books on my iPad. An all-expenses paid one to anywhere! My characters choose where they are going to live. I can’t think of anyone famous. I don’t want to do that because then they become normal and what’s the fun in that? Although I would like to spend time with Bobby Flay so I could learn how to use my new BBQ qrill. I don’t like driving. I’d like to have a pet goat and am gluten free which makes eating anywhere tough. I like to walk, ride bikes with my husband and sew. STUDY!!!! Get the Margie Lawson courses, the My Book Therapy books and go through them. You’re writing will jump to another level making it easier to sell. After witnessing the ravages of the Civil War, Travis Logan vowed to give up doctoring. But when fellow steamboat passenger Caleb Wharton collapses at his feet, Travis knows he must lend his aid. As the old man lies dying, he makes Travis promise to take care of his land and find Heaven. Travis can’t help but wonder what Heaven has to do with a real place, so he heads to Caleb’s farm to fulfill his promise. Weeks of facing marauders and caring for her father’s home have finally taken their toll on Heaven Wharton. When an unknown young man charges the house, Heaven attempts to fire a warning shot but ends up shooting the man instead. Shocked, she and her sister, Angel, drag a semi-conscious Travis into the house and nurse him back to health. As Travis and Heaven both struggle to control their destinies, will they learn that only a heart that follows God can ever find peace on earth? I hope they laugh, feel the emotions of the characters and realize that they are never on their own as long as they have Christ living in them. Do you read for historical accuracy or just the historical setting? 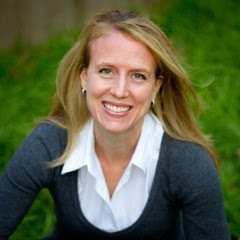 Interview with Ann Fetterman Miller and giveaway!!! Ann is willing to give away a copy of her book to everyone who leaves a comment. Please leave an email address to be included! I write coming-of-age/romance novels because I had a lot of childhood baggage to work through and was blessed with a very romantic husband who cherishes me. I narrowed it down to four—the days my children were born. The glaring change about moving ahead with publishing is that I haven’t had a spare minute to work on my next book! Jeff Bennington’s The Indie Author’s Guide to the Universe, and Joel Comm’s Twitter Power. My next book is The Art of My Life, which debuts September 1; Avra’s God follows December 1; and Tattered Innocence March 1, 2013. Between all this publishing, I’d like to squeeze in writing Finding My Voice about four characters who have lost their voice in life for diverse reasons. It’s a story about their individual journeys toward speaking up and how those paths tangle into love. It’s been the same dream my whole life, and I’ve yet to live it. Maybe I should put it on my bucket list. I want to sit on a shady porch beside a stream and rock in a rocking chair. I never claimed to be exciting in real life—just in my imaginary one. So far, I’ve set all my books in New Smyrna Beach, Florida, the place in my nomadic childhood where I found home. I chose Arizona where I live for my work in progress because it makes my research easier. 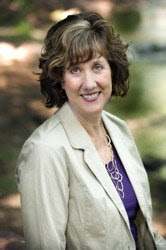 Author Evelyn Christenson has so deeply impacted my faith with her books on prayer. Once at a seminar, she hugged all the ladies, including me, in the restroom line. I’d like to thank her for giving me a heart to pray. I lived on a sailboat as a child. My father was often mistaken for Willie Nelson. I and my three sons are color blind. I hike in the mountains with my husband, do Zumba, and go garage saling every Saturday morning with a friend. This year I mentored three teens from my youth group. I don’t know if it counts as a hobby, but I’ve been guest lecturing on plotting in Phoenix colleges for the past few years. Great fun! I’ve worked at teen church camp for more years than I care to reveal—thus the camp setting for Kicking Eternity. Plotting. I am a small picture person. It is difficult for me to envision the structure of a story. To compensate, I have become a student of plotting. I probably go overboard by mapping out every scene of the book before actually writing the book. So many people wrestle with their dreams and God’s dreams for their lives. I wanted to give them hope, the courage to trust God with their future. Share a memory from summer camp if you attended or from your childhood if not. Anyone who leaves a comment with an e-mail address (JaneReader[at]msn[dot]com) will receive a free e-book copy of Kicking Eternity. Those who don’t want to leave an e-mail may contact Ann for their free book at AnnLeeMiller.com. Fresh from college, Raine scores a teaching job at New Smyrna Beach Surf and Sailing Camp. A crush on the camp rebel/art teacher threatens to derail her plans to teach orphans in Africa. The broody recreation director spots her brothers meth addiction and Raine's enabling. Raine believes she is helping her brother--until lives are threatened. "I've lost hours of sleep reading Ann Lee Miller's work due to her uncanny ability to yank me into a story with authentic, lovable, yet challenging characters." 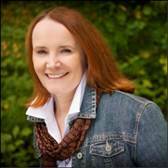 FOREVER HILLTOP features two of award-winning author, Judy Baer's books in one novel. In An Unlikely Blessing: Alex Armstrong is a former college professor in his hometown of Chicago, but now he’s finding himself going to North Dakota to serve as a first-time pastor. His first assignment is two churches that are too small for a pastor, so they want one pastor to share the load and the churches. In Surprising Grace, Alex Armstrong is beginning to get used to his life as the rural pastors of two different North Dakota churches. He now houses some homeless geese that one of the children in the area wanted to save, and is getting to know the members of his different congregations. But Alex is lonely, and under impulse fires off an email to his former fiancée. Alex’s flock needs help and counsel like he never imagined, and he grows to love each and every unique individual he comes in contact with. But when his ex-fiancée responds—is he going to be forced to choose between the woman he used to love and the people he currently serves? Or does God have someone else in mind? Both An Unlikely Blessing and Surprising Grace are quiet, sweet stories about a pastor serving in his first church. Ms. Baer did an excellent job describing the North Dakota landscape and the type of farmers that live there. She also pretty much has the pastoral role of a small town country pastor down pat. Alex might have felt like a fish out of water but he definitely tried to put his best foot forward in this community. I couldn’t help but applaud him as he faced everything from tipped over pickups, loose hogs, and runaway cows in his first twenty-four hours in town. And that was just the beginning. Recommended. $16.99. 573 pages. She’s planted firmly on solid ground. He’s ready to sweep her off her feet. Lilly Hart and her six-year-old son, Levi, are managing after the death of Lilly’s husband, Ben. Lilly’s is working as cook and waitress at Lake Manawa, and living in a tent in the campgrounds. But Ben’s parents are on the warpath, demanding that Lilly and Levi return to live in their home and send Levi off to boarding school in the East. When Lilly refuses, her in-laws return with the sheriff in tow, claiming their grandson is neglected and abused. Nick Perrin is roller coaster designer and he and his crew are building a roller coaster for the wealthy folk who summer at Lake Manawa. He rescues Lilly from a snake her son brings into the restaurant, and is present when her in-laws come threatening. Nick is quick to step up, defend Lilly and offer to befriend her boy, but Lilly is equally quick to refuse his overturns of friendship—at least until her boss threatens her job. As Nick gets to know Levi and interact with Lilly, they begin to develop a tentative friendship, but Ben’s parents aren’t about to let Lilly win. They intend to take Levi from her, whatever it takes. Will Lilly be able to keep her son? What will it take for Nick to sweep her off her feet? 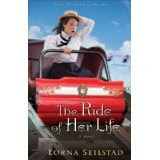 THE RIDE OF HER LIFE is the third book in the Lake Manawa Summers series, but it easily stands alone. Characters from previous books do make appearances in this book, but it isn’t necessary to have read them first before reading THE RIDE OF HER LIFE. I do recommend reading A Great Catch and Making Waves though as they are great reads! Lilly is a very strong, capable woman, handed lemons, but determined to make the best of her situation. Nick also has risen from not ideal circumstances, and he’s determined to fight for the underdog. Other than the appearances of nasty slithering creatures like snakes and spiders (and bad in-laws) THE RIDE OF HER LIFE was a great read. If you pack one book for your summer vacation, this has to be the one. $14.99. 379 pages. Are crazy co-workers stressing you out? Here’s the solution. Let’s face it. Some people don’t listen, don’t care, and won’t compromise. And you probably work with them. The incomprehensible supervisor. The person who talks more than works. The customer who isn’t always right. The good news is, it doesn’t take two people to change a relationship—it takes one. You. In WORKING SUCCESSFULLY WITH SCREWED-UP PEOPLE, Ms. Brown will show you how to be unflappable, imperturbable, and unflustered in every situation. WORKING SUCCESSFULLY WITH SCREWED-UP PEOPLE is a must read for every working person, whether they are a work-at-home parent or whether they go out in the rat race every day. I enjoyed reading this book, Ms. Brown’s writing style drew me in and held my interest, and I learned some things… such as, my husband is very much a rule-follower. It is set in stone. I am more of a rules are guidelines type person, and love to say, the rules apply to everyone but me. My husband’s rigidness drives me crazy sometimes, the same way my more relaxed approach to everything affects him. Opposites attract, right? In a work place, you have to somehow manage to work eight hours a day that people that don’t share your values. You might be more dedicated to work, and earning the paycheck, while someone else might be more of the “I’m here to take up space and chat” mindset. Or maybe the way you solve problems differ. 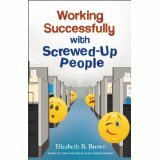 If you have any work relationship problems, then you have to read WORKING SUCCESSFULLY WITH SCREWED-UP PEOPLE. It will be the help you need. And you’ll learn a lot about personality types as well. $12.99. 260 pages. …in the excitement of first steps, first words, and the first day of school. …when you are frustrated, overwhelmed, or alone. …in the middle of the night and the middle of the unpleasant. …in your most important relationships. God is there in every busy, exhausting, and exhilarating moment of being a mom. ALWAYS THERE is a devotional for busy moms of preschoolers. It has a short verse, a story to go along with it, and a reflection for you to ponder as you go about your day. Ideal for moms on the go, it doesn’t take much time, and will center your mind on God. This isn’t a devotional for a deep feeding of the word, but more of a stolen moment snack. Some of the stories made me cry, remembering the terror and joy of that first pregnancy… the fear when you realize your preschooler has vanished into a crowd and you don’t know where to start looking… watching a baby morph into an adult… and other life events, including the acute pain of miscarriage. I have five children (not counting three miscarriages) and while some of my children are now considered adults, I still can relate to the stories told in this book. Children are a blessing of the Lord, but some of the confusion, pain, disappointment that accompany them doesn’t always seem holy. ALWAYS THERE reminds us that even in moments when you feel alone, God is ALWAYS THERE. Recommended for new moms and mothers of preschoolers. $12.99. 196 pages. What kind of research did you do for To Protect & Serve? This one I actually went to a fire station to interview the fire fighters (rough job, I know! ;). That was quite fun. They showed me everything on the truck, walked me through how they would go about fighting different types of fires, and showed me all of their turnout gear. God did. I had no intention of writing this one. I was working on a different story, and when I write, I make a soundtrack and I get pictures from the 'net of my characters. One of the characters in the other book was a guy in a 90's boy band. A friend of mine had recently gotten interested in how I write the books, and so I was showing her all of this. She promptly "fell in love" with one of the other guys in the band! Then she wouldn't leave me alone saying she wanted me to write his story. Finally, one day, kind of sarcastically, I asked, "Fine. God, if I was going to write his story, what would it be?" And "To Protect & Serve" fell into my lap. I think prior to God getting hold of me and convincing me to relax, I was a lot like Lisa--goal-oriented, success-minded, and focused on all of the wrong things. I hope I was a little more flexible than she is, but probably not by much. I really love how she has to finally confront how little control she really has over things. For me, in my life, that was a real turning point, and I think it is for her as well. I don't do either. I don't purposely put them in, and I don't purposely leave them out. Sometimes as I'm writing, I see the parallels. Sometimes I just have to write because none of it is in my experience. I can't explain that other than to say I know that God knows where we're going with each story, and I trust Him implicitly to get me there. John Grisham really opened the floodgates for how to not be constrained in writing. I love his stories because you're in New York with one character and then you're in Atlanta with someone else, and then you're in France... And as you're reading, you're constantly processing the pieces he's showing you. I always say now the first several chapters of every one of my books is just me throwing the pieces on the table. Then I start putting them together. Grisham taught me that. When I was teaching high school English, I had to read A LOT. Many things we read were not things I would have chosen on my own--A Tale of Two Cities, A Farewell to Arms, A Doll House. However, I am so thankful for that experience because it broadened my horizons as to what is out there, the thinking of these other authors, their perspectives of the world and of life. Now I read mostly non-fiction Christian books, and they are the same way. They open up doors in my mind that show me how people are, why they are that way, and how to help them learn to change. I think all of that experience shapes my writing into something deeper and more profound than just telling a good story. Well, I've now written 31 full-length novels, and no two of them have been written the same way. My "process" is however God decides He wants me to do this one. Some I know a lot of the plot going in; some I know next to nothing. Some I write in a month, some it literally takes years. And I never know which will be which. What I've finally learned is to just relax and let God be God. He is very good at ordering my days which would be utter chaos without Him. I have 3 kids, a husband, a house, and 2 businesses. I do all of the financial stuff for both businesses. I write, edit, publish, and market all of my own books. I also edit for a couple of friends. I'm on Twitter and Facebook. I have my own author's group, "Grace & Faith Authors." I have four active blogs, and I'm redesigning my website. At the moment, I have 16 ebooks out and 7 in-print. I'm working on 3 more in-prints, and four new ebooks. So as you can see, without God, this would never work. With Him, somehow I get all of that done and still have time to write when He lays it on my heart to do so. Again, this is all God. I have gotten inspiration from church, from books, from conversations with friends. It's come via the Internet, the television and the radio; through songs and movies. I have just learned that God speaks to us in a myriad of ways. The question is, are we listening? In July of 2011, I sold 2 books. The beginning of August that year, I bought a book about ebooks and Internet marketing. By the end of that month, I had 8 ebooks for sale, I was on Twitter and Facebook. I floundered around on those for another two months. Then on October 26, 2011, I read one tweet that changed my life. It was by another author, Karen Baney, and in it she talked about cross-promoting with several other authors. That idea really resonated with me, so I contacted her. Within 24 hours, Grace & Faith Author Connection was born. Over the next five months, as a growing team we learned how to USE the social media, and now, just six months later, I'm an Amazon #1 Best Selling author. So, yes, I would say the social media has been a very, very helpful resource. I love the personal relationship aspect of both Facebook and Twitter. I really wish I had more time to utilize them that way as I have met some wonderful people on both. Right now, however, I use them more for marketing and connecting with others to market than anything. What is one time that you really went out of your comfort zone --like me going to interview the firemen? 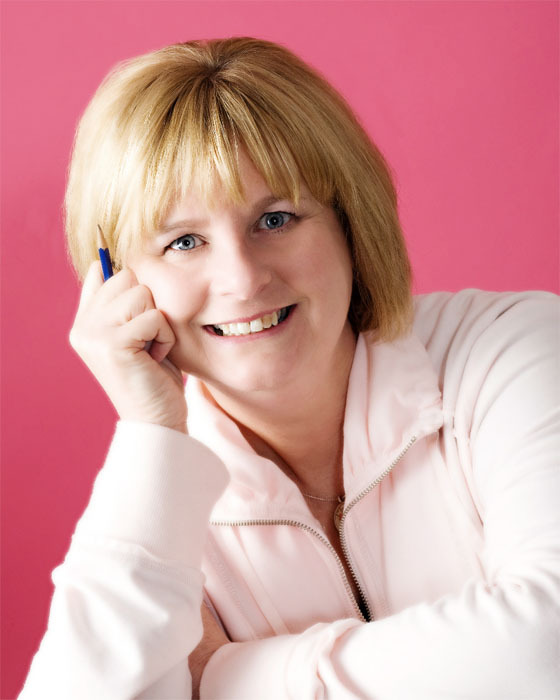 Interview with Cynthia Hickey and GIVEAWAY! 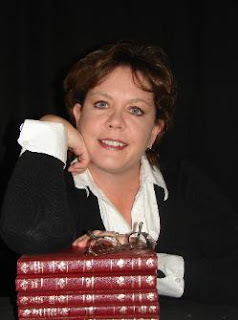 I write cozy mystery, romantic suspense, and historical romance. I write, because I love to read. I’ll read, and devour, almost any genre except Science Fiction. I especially love writing books clean enough for my younger family members to read, and books that glorify God. There are so many special days, thank you, Lord. The birth of my daughter, the adoption of my children, the day I married my husband. I never knew a writer’s life was so busy! A well-known author once told me that you are always working on at least three books: The one you’re writing, the one you’re editing, the one you’re marketing. If you add in the one you’re researching, you could be working on at least four books. Right now, I’m reading a future release of Robin Carroll’s for endorsement. I am currently working on the fourth and final book in my cozy mystery series. This one is titled, Maui Macadamia Madness. A trip to Ireland and Scotland to visit the land of my ancestors. Most of my stories take place in Arkansas. I spent most of my childhood there and still call it home. Although I use fictional names for my towns, they are modeled after the small towns that dot the great Ozark state. Probably, Janet Evanovich. I love the humor in her mysteries and would like to dig inside her head. I love to crochet and make movie montages from the hundreds of photos I take every year. I tend to be easily distracted. Sitting in the chair and writing, even if I end up rewriting, helps me overcome this. Never, never, never give up, and keep learning the craft. Married less than a week, Delicious (Delly) Williams, watches her new husband die, leaving her to raise his five children under the age of thirteen. He also left her a deed to property in Oregon. His dying wish; for Delly to get the deed and the children to his brother in order for them to be protected. Zeke Williams wants to marry Delly in order to keep her safe. Another marriage is the last thing Delly wants. Can these two come together and forge a love and a new life in an untamed land? That we can do all things through Christ who strengthens us. Which book would you choose to win and why? I will offer one lucky winner their choice of either a Kindle copy of A Love for Delicious or Ruth’s Redemption. The winner will need to approve Cynthia’s email address in order to retrieve the free copy. If you do not have a Kindle, she can send you a .doc file. Shiloh Wainwright fell in love with a young man who worked on her father’s ranch when she was a young girl. But he was a “half-breed” and after being falsely accused of attacking the boss’ older daughter, he was whipped and sent away. Now, Shiloh is a grown woman and she has a love for Indians. This takes her to an Indian Agency in Colorado. Shiloh hopes to improve the lives of Ute Indian children. But, her new job isn’t all sunshine and roses. Shiloh soon finds herself caught in the cross-fire between the Utes, their Indian agent, and the US government. Her unexpected encounter with her family’s former employee, Jesse Blackwater, only complicates matters. As tensions spiral, will Jesse and Shiloh find love? Or will the catastrophic uprising tear them apart? A LOVE FORBIDDEN is the latest by award winning author, Kathleen Morgan. I was drawn into the story from the very first pages, though my heart broke for Jesse. I had to find out what happened and hoped that Jesse and Shiloh would find a way to be together. Ms. Morgan is definitely a talented author, and one that I can recommend if you like historical fiction. She takes characters that should be impossible to find common ground, and throws them together. The resulting story is a page-turner. Loosely based on real events—my favorite type of historical. $14.99. 310 pages. Allison Denman is getting married in five days, to Seth Rayner, an up-and-coming architect in his father’s firm. But when Seth’s brother, Daniel, comes to help Allison move some boxes, they accidentally kiss. And suddenly, Allison comes face-to-face with the fact that she’s marrying the wrong guy—for all the wrong reasons. Allison isn’t sure how to tell Seth, so in true run-away-bride fashion, she waits until their in front of the church, with all the gathered family and friends, then she turns and runs, stealing her best friend’s car, and a mountain cabin, she goes into hiding while she tries to figure out what to do next. Seth isn’t exactly willing to let her go, and Daniel is torn…help his brother win back his high school sweetheart, or admit that he broke a major man-code and fell in love with his brother’s ex-fiancée? And what are they to do when Allison wants nothing to do with either of them? 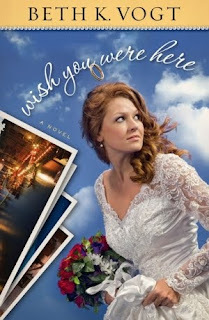 WISH YOU WERE HERE is an absolutely wonderful contemporary romance (whoooo hooo! One of my two favorite genres.) and it is stellar. I couldn’t help but fall in love with Allison and Daniel both and wondered when they would both finally stop dancing around the issue and address it head on. If you are looking for a wonderful contemporary romance, then WISH YOU WERE HERE is a book to consider. Discussion questions and an interview with the author are included at the end of the book. $14.99. 320 pages. Just click one of the icons on the sidebar to enter. Tell your friends about Beth's giveaway on FACEBOOKor TWITTER and increase your chances of winning. 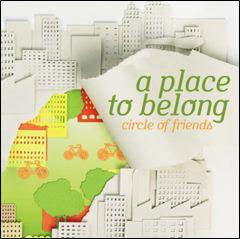 A PLACE TO BELONG (Circle of Friends) CD is an inspirational CD featuring 8 songs. The singer's voice is mellow, drawing the listener into a quiet place, which would be excellent as a prelude to Bible study or devotions. Songs included are: *Love Falls Down *I Believe in You *Your Love Endures *Let Us Bow Down *Thank you for the Cross *God the Victorious *I found Grace *Lifting My Praise Up. Recommended, as an accompliment to Ms. Troyer's book by the same name (A PLACE TO BELONG) or a CD to accompany your Bible study. Every woman needs acceptance, love and a place to belong. That’s the underlying theme of the new music CD, A Place to Belong (Lifeway Worship) from singer/songwriter Lisa Troyer, president of Circle of Friends Ministries. Refreshingly authentic and dynamic, the companion worship CD to Troyer’s recently released book, A Place to Belong: Out of Our Comfort Zone and into God’s Adventure (Barbour Publishing), tenderly draws women into a place of true freedom and belonging in the very heart of God. In her book,Troyer shares her own journey to acceptance as well as the story of a group of dynamic “women helping women” who call themselves the Circle of Friends. Troyer encourages readers to form their own circle of friends, a safe place of truth and love where women can develop lasting relationships and discover together the purposes of God for their lives. A Place to Belong has the potential of changing the way women think about themselves, about others and about doing God’s work in this world. In both her book and worship CD, Troyer challenges women to connect to one another, comfort each other and affirm each other in using the gifts God has given them. Ultimately, A Place to Belong offers a healing dose of real hope that life can be rich, life can have purpose and no woman need ever be alone. The new Circle of Friends CD is available online at http://lifewayworship.com and iTunes. It can also be purchased through your local Christian retailer. Anna Newfield has just lost her father. She’s at the funeral when she learns that her brother is presumed dead in the colonies, and that she has to move out of the parsonage that very day. And not only that, but the temporary lodging she obtains is no longer available. Major Edmond Grenville happens to be there when Anna loses everything, and he’s quick to offer her a job as a companion to his mother. But the Dowager Lady Greystone is controlling and unwelcoming. As Edmond and Anna get to know each other amid the glittering ballrooms of London, Anna falls in love, but she knows Edmond could never love her back. However, Anna’s courage is compelling, but Edmond knows he will go against his family’s rigid command if he falls in love. What will it take for Anna and Edmond to find true and lasting love? A PROPER COMPANION is Ms. Gouge’s most recent historical romance and it’s a winner. Set during the Revolutionary War time period, Edmond has been fighting in the colonies until an injury sent him back to Britain. As the story begins, Anna is at her father’s funeral and has lost everything before the end of the first chapter. A PROPER COMPANION is a story of faith and courage in hard times. Anna is gentle and sweet the whole story through, even when faced with her losses and her subsequent difficult employment, and Edmond too is a true hero. Readers will be delighted with this newest historical by award winning author Louise Gouge. Discussion questions are included at the end of the book. $5.75. 285 pages. Michael Palmer has a wife and three children, but honor and duty push him to leave his comfortable life and answer the call from Abraham Lincoln to fight for his country. Michael learns quickly that war is more than what he’d initially thought. It involves long marches through the field, under extreme conditions. Illness. Disillusionment. Faith is challenged and seems lost in the gun smoke and blood. Michael’s only desire is to kill as many Rebels as he can so he can go home. He counts off each Rebel that falls to his bullets—until he is brought up short by a dying man holding up his Bible. As the war winds to an end, Michael begins to understand the grave cost of the war on his soul. Karl Bacon is a long time student of the Civil War. AN EYE FOR GLORY is his debut novel, and it is based on first-hand accounts of the 14th Connecticut Infantry. A fascinatingly rich story, full of details, realistic dialogue, and setting that we can see—and smell. Karl Bacon can bring the Civil War to life, 150 years later. Michael Palmer suffers some deep battle wounds from the war, not only physically, but also spiritually and mentally. This is a book that will resound in your memory long after you finish the book. If you are a history buff, and into the Civil War in a different sort of story (far from a romance), full of action, drama, battles, and death, then AN EYE FOR GLORY is a book you will want to read. $16.99. 364 pages. Police officer, Ashley Walters is new to Montezuma, Georgia and thus the rookie on the force, even though she’s a good officer, proven in her old town. She is still healing, ten years later, from her brother’s unsolved murder, and fighting those demons. Bradley Yoder, a Mennonite teenager, reminds Ashley of her brother, and when he’s caught shop-lifting, Ashley is determined to do whatever it takes to help Bradley. Patrick James is Bradley’s counselor, and he’s also on the city commission. The city is planning on revitalizing the downtown and wants to open a Mennonite museum. Only thing is, the Mennonites are against the museum, unless they are allowed to share their faith there. But the township is against the Mennonites sharing their faith. Ashley and Patrick begin dating, and the relationship seems to be going well, but the Mennonite issue is putting them on opposite sides of the fence. Not to mention, a Mennonite man, Bradley’s uncle, also is attracted to Ashley. What will it take to bridge the gap between the peaceful Mennonite world and the suspense and drama of the English one? HIDING IN PLAIN SIGHT is the first book in Ms. Wallace’s Place of Refuge series. It is very well written and engaging. There is a love-triangle, a romance, and suspense, with plenty of drama. I had to keep reading to see what happened next. Bradley is a trouble teen, broken from his birth mother’s abandonment, and upset over his adoptive father’s death. He’s also bothered that no matter what he does, no one seems to notice or appreciate him. His character is heartbreaking, tugging unbelievably at my heartstrings. I could feel his pain. Ashley also is hurting, desperate to reach Bradley before it’s too late, since he reminds her of her deceased brother. Both Patrick and the Mennonite man, Jonathon, are good God-fearing men, yet on opposite sides of the township issues. If you are looking for a great Mennonite read, or love Amish fiction and want to read it’s “close cousin” then HIDING IN PLAIN SIGHT is a great book to consider. Highly recommended. 4.5 stars. $13.99. 304 pages. Kate Donovan is burned out on her job working with children removed from their homes, and tired of her lack of a love life. When her grandmother offers Kate the opportunity to accompany her to Pennsylvania to restore the family estate, Kate jumps at the chance. Grandma hired Matt Jarreau to renovate the house. Kate is immediately attracted to him, he’s hot, he’s single and he’s brooding. But Matt has suffered much, losing his wife to brain cancer, and his career due to grief. He’s become a recluse, but Kate is determined to bring him out of his shell. Kate annoys Matt, he can’t handle her bubbly, non-stop conversation, nor her refusal to give up. So, he finally gives in. Is God finally answering Kate’s prayers? Or will Kate be required to give up more than she bargained for? 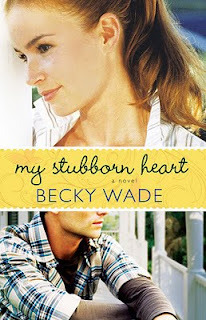 MY STUBBORN HEART is the debut novel by Becky Wade. I had high hopes for this book. I love contemporary romance. The topic interested me. Ms. Wade has the characters right. A brooding man, hurt and worn; a woman who’s spunky, looking for love; feisty secondary characters… and best of all, it’s contemporary! I’m totally thrilled that a publisher is putting some out again. But, I was greatly disappointed when the characters started playing poker—for money. When “soft” cuss words started appearing in the story. And when physical appearances became the most important thing, the color of hair and style of shirts dictating whether or not someone dates someone. For more conservative readers that believe gambling is a sin, and “soft” cuss words are still swearing, this book is a turn-off. There is some reference to spiritual things, but mostly the emphasize is on what a “hottie” Matt is. With everyone commenting on it, including Grandma and her friends. Discussion questions are included. $13.99. 343 pages. Becky and her husband lived overseas in the Caribbean and Australia before settling in Dallas, Texas. It was during her years abroad that Becky's passion for reading turned into a passion for writing. She published three historical romances with Avon Books, then put her career on hold for several years to care for her kids, then recently returned to writing sheerly for the love of it. She felt led to move to the genre of contemporary Christian romance and couldn't be more thrilled with it. Celebrate with Becky by entering her My Stubborn Heart Giveaway and connecting with her during the Author Chat Party on 5/24! Enter today by clicking on the sidebar icon. But hurry, the giveaway ends at noon on May 24th. Winner will be announced at the "My Stubborn Heart" Author Chat Facebook Party on 5/24. Becky will be hosting an book chat, testing your trivia skills and giving away some great prizes! Interview with Jerry Eicher and TWO book giveaway!!! street work in our local town. I felt fulfilled and doing something worthwhile. that, not as much as I had expected. But I’m not mega successful either. writing days. But that doesn’t quite count, I don’t think. I began writing the series for 2014, “The Sisters of Lancaster County”. moving around, it adds a different flavor for me. That would be a draw between the two loves of my life, theology and romance stories. questions and listening to the answers. The depression was the most surprising and persistent. It seems to go with the territory. perhaps taking Saturdays completely off, once in awhile. those bad years when nothing is happening. I wish I had begun earlier. lives are intertwined until their marriages. Which takes the three books to accomplish. vowed never to pick up another Jerry Eicher book in his life. Lucy Banning lives on the exclusive Prairie Avenue, next door to the Pullmans and other rich and famous families of the late 1800’s. She’s engaged to marry an up-and-coming banker from a respected family. But Lucy knows that if she marries Daniel, she’ll be expected to give up her charity work—and her dreams. Right now, Lucy is keeping secrets from her family, and going to college, something frowned upon for women of respected, well-to-do families. Will is an unconventional young architect who has just recently moved to Chicago, and is working on designs for the upcoming 1893 World’s Fair. He makes Lucy dream of living life on her own terms. But will she be able to break away from her family’s expectations? Will she ever be loved for the woman she is, instead of the woman she’s expected to be? THE PURSUIT OF LUCY BANNING is the first book I’ve ever read by Ms. Newport, but I’m sure it won’t be the last. I think this is the first historical I’ve ever read set in the opulent area of Chicago featuring a character as bold, secretive, and set-in-her-mind as Lucy. She is fearless, brave enough to risk her parents’ wrath, and willing to forge her own trail. Lucy is a character that could have been real. Set around real life events and real life families, the story could have happened as it told. There is a secondary story involving a maid, Charlotte, who has her own struggles and secrets. THE PURSUIT OF LUCY BANNING is recommended if you love historicals, and especially those featuring the more well-to-do city dwellers. $14.99. 290 pages. Tell us about The Pursuit of Lucy Banning. Lucy the privileged daughter and Charlotte the maid become friends separated by class and money. One holds a surprising love in her arms, the other has love but wonders if it’s enough. Each of them carries a scandalous secret that could ruin their chances for happiness. In a changing social structure, the two women must work together to overcome social barriers, find true love, and bring about their dreams. How did The Pursuit of Lucy Banning get started? I have Chicago suburban roots, but I had not heard of the Prairie Avenue Historical District until a friend of mine became a docent at the Glessner House Museum on Prairie Avenue. This house preserves the flavor of Chicago’s gilded age when the neighborhood was full of wealthy powerhouses of industry. As soon as my friend began his training, he saw the potential for the setting of a story. He is not a fiction write, but he knew my interests. It did not take us long to cook up story ideas about a daughter of a privileged family who engaged with the changing social climate of her time. Your book is layered with historical detail. Tell us about your research process. My docent friend, Stephen Reginald, is a history buff. He spits out the most interesting details sometimes, and before I know it, I am digging too. We both scoured the archives of the Chicago Tribune and the New York Times for headlines and language of the era. I looked for true events that serve as hooks in the stories. The Internet turns up all sorts of obscure books and historical accounts. One of my favorites was a first person travelogue written by someone who visited the world’s fair in 1893. Stephen’s work at the Glessner House Museum opened a portal into diaries and museum pieces that helped me faithfully recreate the story’s setting. One of the most fun research pieces I uncovered was a guide to caring for young children published in 1894. The prevailing expert advice was not to play with a baby before he or she was four months old, preferably six! I love giving a copy of this book to new mothers. On the other end of the spectrum was heartbreaking information about the desperate needs of orphans during that time period. We may think we have more sophisticated system for addressing certain social issues, but we have a long way to go. How do you see yourself in Lucy Banning’s story? I certainly have never been the daughter of a privileged family! However, Lucy Banning and I do share an infatuation with red velvet cake. More seriously, Lucy is looking for genuine meaning in her life, even if it means taking risks. I’d like to think I would do the same thing. While you were writing the book, do you think it mattered that you grew up near Chicago? Even as an adult, I’ve lived in the Chicago area for several stretches, and several siblings and their children live there. (Go Cubs!) When I was a child, visiting the Museum of Science and Industry was a wide-eyed experience for me. As a young mother, I took my kids there. I think of it as the Museum of Wonder and Curiosity. Then I discovered that the building itself was part of the 1893 world’s fair, the backdrop for my series. Little did I know I would grow up to write about events that took place in a building that held so much fascination for me. Will we know what happens to Lucy Banning after the end of the book? Charlotte Farrow is a secondary character in The Pursuit of Lucy Banning, and she will have her own full story next. The Dilemma of Charlotte Farrow will release in January. After that comes Sarah Cummings, who is introduced during Charlotte’s story. Lucy Banning and her family appear in all three books. Even though the main characters will change, readers can follow the next several years of Lucy’s life. Is any part of you sorry to be finished writing The Pursuit of Lucy Banning? Yes! I’ve been living with Lucy for three years now. I feel I know her well. Lucy has a part in the two stories to follow, and these are still in the editorial pipeline so I’ll have opportunities to visit with her again over the next few months. Beyond that, I have a picture of what happened in her life and know that she found happiness and meaning. And that brings me pleasure. I advocate writing by keeping your bottom in the chair, but I’m flexible about the kind of chair! Research happens at my desk where I can spread things out. Several years ago, in a thrift store, I found a wide, comfy recliner with a built-in massage feature. When I’m in serious get-words-on-the-screen mode rather than researching, I write in cushy comfort. However, I also think that writing is a consuming process, and I may solve a plot dilemma while I’m walking through the neighborhood or hear the perfect line of dialogue in my head while pulling weeds. When I’m immersed in a story, it’s hard to set it aside until I get it out of me. The writing follows me around as I go about my life. Classical music—no words—helps keep my brain in a productive gear. I have a big planner where I write notes so I can let go of information or an urge to do something for the moment. Being comfortable helps with distractions, in terms of the chair, lighting, and room temperature. Otherwise my body responds to every little bothersome sensation. And it’s amazing how effective it is to simply close the door on the household noise. A visitor to my office would see multiple attempts at organization, some of which are actually useful! I have several racks for folders and papers, and only I know what qualifies for which rack. I insist on colorful, fun folders. A couple of binders hold manuscripts in progress or research. I expect a visitor would be curious about the various notes I have taped up around my desk, some of which are information I refer to because I can’t remember otherwise, and some of which are inspiration, both to keep my writing on task and my heart in a settled place. Writing a book does seen scary! I break things down. I don’t set out to write a novel. Rather, I set out to complete the next task that may become a part of the novel. The task may be working out a knot in the plot, or writing the next scene, or beefing up research. I focus on doing the next thing that needs doing. That’s a great question, because I always have more ideas than time to write about them. I’ve had fun with the Avenue of Dreams series, which begins with The Pursuit of Lucy Banning, because I discovered a place I did not know about. That surprise factor launched my imagination. I’m sure I’ll be looking for the same experience in the future and be eager to pass it on to readers. The winner of S. Dionne Moore's Promise Brides is Anne Payne! Congratulations, Anne! Memoirs are not generally a genre I enjoy reading, but HIKING THROUGH caught my attention. I’ve always been fascinated by the Appalachian Trail and one of my sons have mentioned wanting to someday hike the trail, so I thought this book sounded interesting. Paul Stutzman’s wife, Mary, died of breast cancer – a disease I was unfortunate enough to get and battle, but so far, with the Lord’s help, I’m in ‘remission’. A year after Mary’s death, Paul quit his job as a restaurant manager and took to the Appalachian Trail to work through his grief, and his sense of abandonment by God. He started in Georgia on a rainy day, at the trail head. HIKING THROUGH is a recounting of Mr. Stutzman’s journey, spiritually, emotionally, and physically, and it is utterly fascinating. There were some things included that didn’t have much to do with the journey (did it matter that his parents left the Amish when he was three and became Mennonite?) but the information was interesting and did solve some curiosity I had about his last name. Most interesting to me, was the actual hike itself, and the experiences he had on the trip. Pictures are included which were great visuals. HIKING THROUGH is a great book, one that my son requested to read (as soon as I get the review written), and one that will go on my keeper shelf when he finishes. Highly recommended. If you have any fascination about the Appalachian Trail, just happen to like memoirs, or have suffered the loss of a loved one to cancer and wonder how others got through the grief, then HIKING THROUGH is a book you’ll want to read. $13.99. 332 pages. First of all, the winner of K. Dawn Byrd's giveaway was Deb Ragno! Congratulations to Deb! Snuggles is a Snow monkey who is born in Japan. He enjoys being with his mother and his friends, and learning how to survive in the wild, and how to escape from bears. But soon it comes time when he must leave to go to the hot springs in the Japanese Alps. Will Snuggles be able to plan ahead in to get to the hot springs before the bad storms arrive? What will he learn on the way? SNUGGLES’ JAPANESE ALPS ADVENTURES is an adorable hard cover book with lots of beautiful photographs of snow monkeys and their nature habitat. Readers will learn a lot about snow monkeys and their annual migration to the hot springs, in addition to Bible verses that pertain to things mentioned in the book, and about how evolution beliefs have been proven wrong. I read this book out loud to my seven year old, and then my ten year old took it and read it again, and both considered it a wonderful book and want to read the others in the series. This is a wonderful educational book for homeschoolers and Christian schools, and is a great book for your kids period. Highly recommended. 5 stars. $18.95. 45 pages. First, the winner of Tina Pinson's giveaway is Lynette Endicott. Congratulations, Lynette! Where does her heart belong? Marianna Sommer returns to Shipshewana, Indiana, with her long-intended future husband, Aaron Zook, to help her brother Levi and his girlfriend prepare for a baby—and their wedding. She also needs to plan her own marriage to Aaron. But things are not as they seem. Levi is adamant the baby Naomi carries isn’t his, but he doesn’t know who the father is. And Aaron seems to have secrets, his personality becoming more like his disapproving mother’s. Not to mention, Marianna isn’t entirely certain she’ll be able to forget the handsome English singer/songwriter who lived in a cabin in Montana, Ben. 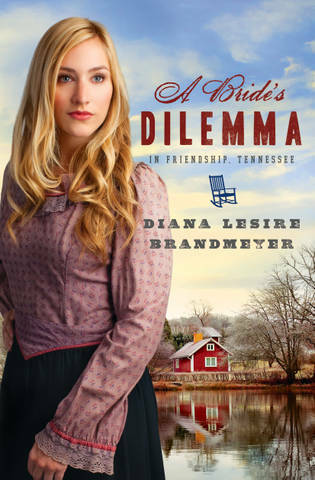 As Marianna struggles to find her footing in the stricter Amish community in Indiana, will she be able to give up past hurts and past loves and focus on the future? Or could the secrets that are carried by others impact Marianna’s decisions and where she truly belongs? BEYOND HOPE’S VALLEY is the third and final book in Ms. Goyer’s A Big Sky series. Readers will want to read these books from start to finish, Along Wooded Paths, Beside Still Waters, and BEYOND HOPE’S VALLEY, as the stories all tie together. The series wrapped up the way I wanted it to, in a way, which made me glad, but the story lacked the passion that Ms. Goyer has in her World War II novels. It is a very good Amish story, and very well told, and I enjoyed it much. BEYOND HOPE’S VALLEY is a sweet ending to this series. Some recipes are included at the end of the book. $14.99. 390 pages. Tricia is hosting a Custom Amish Prize Pack Giveaway and an All Things Amish Author Chat Party! Win a Custom Amish Prize Pack! 2. Include the giveaway & party info in your review post or on a separate day. Beyond Hope's Valley, Book Three in Tricia Goyer's Big Sky series has arrived! Read the exciting conclusion to Marianna Sommer's story. Enter to win a CUSTOM AMISH PRIZE PACK in Tricia Goyer’s BEYOND HOPE'S VALLEY Giveaway! All the details here: http://litfusegroup.com/blogtours/13489586/bigskyamishbhv "The truths about a child, about a past relationship, and about God’s plans are being revealed. Walking through a valley of questions, Marianna must hold on to hope as she decides where and with whom her heart truly belongs." Pick up a copy today! Title: WHY CAN’T HE BE MORE LIKE ME? When you marry, you imagine married life will be so different than it is. You envision long, leisurely walks through the mall, holding hands, while you shop and he helps you find that amazing outfit. But in reality, you shop—he goes gets it. Or maybe your dad did the cleaning and you imagine your husband will willingly scrub the kitchen floor and the shower. But he doesn’t even seem to notice when they need attention. Maybe the man you married is no where near what you imagined your Prince Charming would be like, and you’re wondering if you made a terrible mistake. If so, then WHY CAN’T HE BE MORE LIKE ME? is the book you’ve been looking for. Poppy Smith shares her own real-life courtship and experience with her husband, Jim, trying to merge different cultures, religions, and expectations in this humorous book. Also included are questions with space for your answer, asking your ideas about your relationship, what you expected, etc. WHY CAN’T HE BE MORE LIKE ME? is the perfect book for a new married couple, or even one that’s been married awhile but are struggling in their relationship. This book will help you see things in a new light. When my husband saw this book, he laughed, stating, “What, do women really expect their husbands to be their clones? Marriage is made to compliment. I’m strong in areas where you’re weak, and vice versa.” And he’s right. Married couples usually compliment each other in different areas. But sometimes it takes awhile for a woman to learn that—to let her unrealistic dreams of what marriage would be like. If you are newly married or wondering if you made a mistake in your marriage then pick up a copy of WHY CAN’T HE BE MORE LIKE ME?. It will offer practical tools to help you learn to accept and enjoy your mate, resulting in a stronger, happier marriage. $12.99. 215 pages.